Rumor has it a second-generation Google Chromecast will be available later this month. 9to5 Google reports it acquired internal Google documents detailing and updated video streaming dongle coming this month. Chromecast is an HDMI dongle that streams content from your iOS and Android apps directly to your TV screen. The device was first introduced two years ago, and it later launched Google Cast SDK allowing third-party apps on iOS and Android to add Chrome Cast support. The hardware itself might depart from its current look. It'll come in three colors, although it's hard to describe what shape it is based on the photos. Will it be a flat, short upside-down lollipop or mini kettle bell? 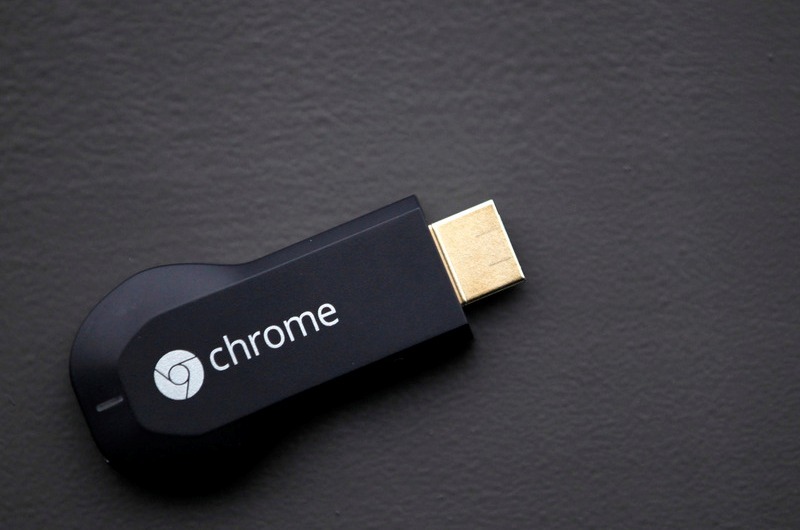 Google is looking to improve Chromecast's WiFi and introduce "Fast Play." Fast Play will establish a quicker connection and play content more smoothly when you're casting from your device. Google also has plans for "Chromecast Audio," which would allow the device to plug into any speaker or audio system in your home via an aux cord. Apparently, it'll have multi-room support and "high-quality audio." Chromecast might support Spotify, allowing it to join Google Play Music, Netflix, Pandora and other subscription services already offered on Chromecast. Another major change is an update to the Chromecast companion app. Currently the app helps you set up Chromecast and connect it to your Wi-Fi, change up your home screen and manage settings. The updated version will have a feature called "What's On," the report says. What's On is another way for you to discover content such as movies and videos to stream from Chromecast-supported apps. The "new Chromecast" will also support content feeds, though it's unclear what sort of feeds Google is referring to. Twitter feeds? Facebook feeds? We'll have to wait and see. Currently, you can personalize the Chromecast home screen with images, art and weather updates [Source : Mashable]. Chromecast is an HDMI dongle that streams content from your iOS and Android apps directly to your TV screen. Another major change is an update to the Chromecast companion app. Currently the app helps you set up Chromecast and connect it to your Wi-Fi, change up your home screen and manage settings. Rumor has it a second-generation Google Chromecast will be available later this month.